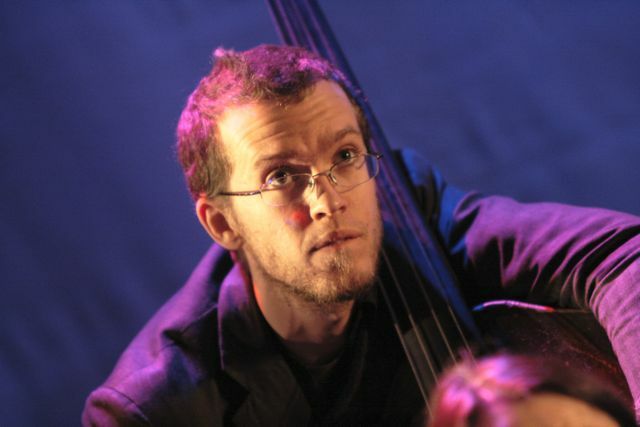 Dominic Lash is a freely improvising double bassist and composer. He has performed with musicians such as Tony Conrad, Evan Parker and the late Steve Reid. He leads his own trio with Alexander Hawkins on piano and Javier Carmona on drums, while his current collaborative projects include a trio with John Butcher and John Russell, a duo with Patrick Farmer, and The Convergence Quartet (with Taylor Ho Bynum, Harris Eisenstadt and Alexander Hawkins).